The Beginning of 2012: I was a YouTube partner. I had adjusted to my work schedule, and resumed uploading videos on a regular basis. The old blog which was the origin of J-Dubb's Theatre, however, sat unused. The things I would have blogged about in the past, went to Facebook or Twitter, if not the topic of a video. I focused largely on video responses. My favorite videos to create had always been video responses. They gave me an avenue with which to engage with the YouTube community, hearkening back to an older time when a "vlog" was typically a part of a conversation with other YouTubers, and not just a self-contained web-show. Plus, it was a way to get recognition from other YouTubers and expand my audience. On that note, my audience was expanding very slowly, if at all. The subscriber boom I experienced in 2010 had ended in the Fall of that year, just as suddenly and mysteriously as it had begun. I had come to see the Summer as prime time for engaging and growing an audience, and the Fall as "too late". This is a large reason for my later disdain of the Fall. Then, the first "subscriber purge" happened. YouTube introduced an algorithm to clear out subscribers whose accounts had been inactive for a certain amount of time. Since my subscriber base went back five years, a lot of old accounts were purged, and my count dropped significantly. This was a bit discouraging. 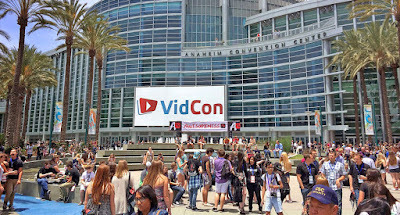 When I began seeing advertisements for VidCon 2012, something occurred to me. For many years, ever since the beginning of my involvement with YouTube, I had wanted to go to a YouTube gathering, and meet other YouTubers face to face. In the past, I had seen this as an impossibility because I was either a broke student, or a struggling freelancer. I now had a steady stream of income. I could do this. 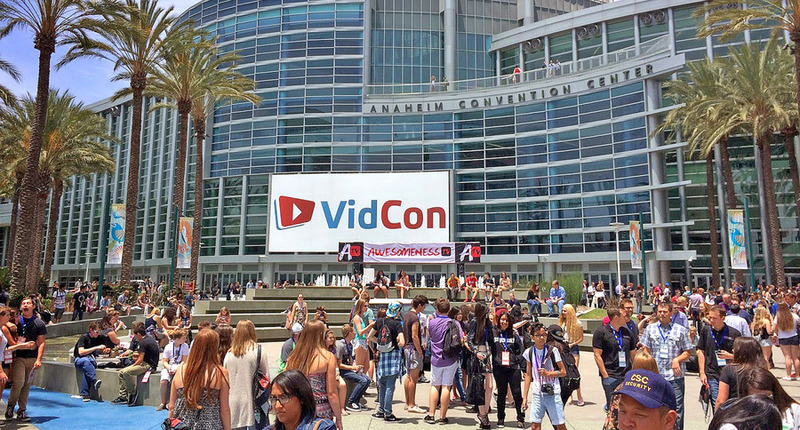 That Summer, I attended my first VidCon. The first day, I spent most of the time going to panels. I saw YouTubers such as Phillip DeFranco, Shay Carl, and Kassem G. in person for the first time. It was surreal, but I wasn't really meeting or hanging out with anyone like I had wanted to do for so long, so I went to bed feeling a little ho-hum about the whole thing. The next day, however, was one of the highlights of my life. That morning, I just decided to go out there, be J-Dubb of J-Dubb's Theatre, and have fun reporting on the whole thing. Energized, I ran into Sean Klitzner... only I had never heard of him, and mistook him for Toby Turner. Then, my friend, Peter of Journey of Life Vlogs showed up. We met in person for the first time, then went and hung out in the expo hall. That's when I began running into people left and right. I met Cory "Mr. Saftey" and Katers17, Greg Benson, Lamar Wilson, and Tay Zonday. And, I met some new people, such as Epoddle and Cullen and Katie. The highest point, was having Greg Benson of Mediocre Films, Husband of Kim Evey who produces the "The Guild" and "Geek and Sundry", and works with Felicia Day and Will Wheaton, who have played characters in several TV shows, act just as starstruck to meet the guy from J-Dubb's Theatre. I began focusing exclusively on video responses. Each of my videos were as elaborate as possible, and two of them took several weeks to finish. But, most of the YouTubers I responded to didn't even notice. I didn't know how to grow my audience, and I was struggling to get my videos out in time. In December, either through Twitter, or Cort Webber's Facebook page, I saw an announcement that the Cort and Fatboy show was ending. 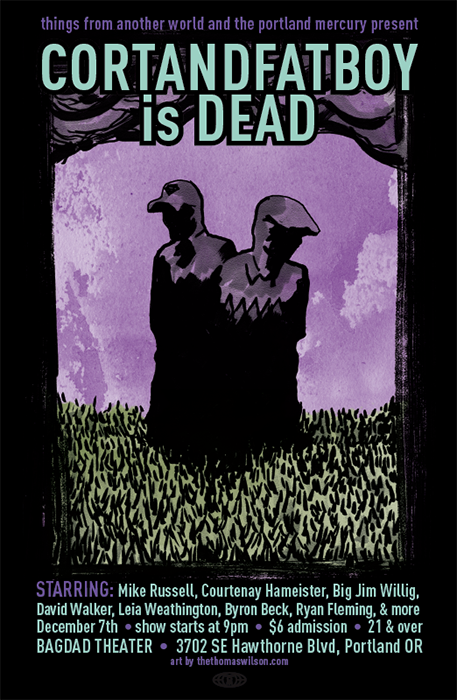 This was advertised with a poster which read "Cort and Fatboy is Dead." They broadcast their final show from the Baghdad Theatre. Since Cort and Fatboy had played such a big part in J-Dubb's Theatre history, I decided it would only be fitting to blog about this. As I wrote my article, I came to a decision: since The Cort and Fatboy Show was so intertwined with this blog... even the very creation of this blog... and since I no longer used this blog, I decided that the end of the Cort and Fatboy Show would signify the closing of the blogging era of J-Dubb's Theatre. By the end of 2012, I had a lot on my mind. Just a few months ago, I'd had all this ambition. But, I wasn't really sure who I was on YouTube anymore. I wasn't the same person who started making videos almost six years ago. 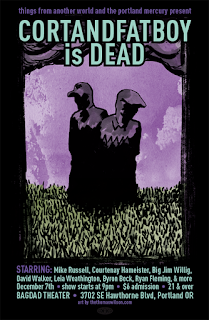 I didn't have the desire to make the same sort of content that I did as a 20-something. Would people still find me entertaining, or would I alienate my audience who subscribed for "the old J-Dubb"? In 2013, I continued to struggle to post a weekly video, as all my ideas seemed to be extravagant. I created a music video called El Pollito J-Dubb Here, which took over a month to produce. While it was fun, I couldn't expect to post such involved videos on a weekly basis. I uploaded a Draw My Life video, at the end of which, I announced that I would be doing simple vlogs from then on, no more video responses, and only occasionally a full cinematic work. In the beginning, this was a relief, and felt like a return to the 2010 boom. But I wasn't really putting together videos that I felt were fun or enjoyable. I started to go through a bit of a life crisis, where I didn't really know what I was doing. I wanted to get out of my current job as soon as possible. I wanted to progress somehow, but I didn't know how. I liked the idea of being a professional YouTuber, but I didn't know how to do that. I wanted to come up with an alternate idea, but if I spent too much time on plan B, how could I put in the effort needed for plan A? I finished school for Web Design in 2008, but at that point, it had been years since I'd dabbled in CSS. It was difficult for me do make a "fun" video while in the midst of this confusion. I found my relief in photography. Going out in nature and seeing the compositions around me felt liberating. I wondered if I couldn't somehow turn this into a living. In the beginning of the Summer, I went to a new YouTube gathering in Seattle called "Vloggerfaire". I met several new people, including my freind JakeHasAnApple, and ran into Sean Klitzner again. Then, later in the Summer, I attended my second VidCon. Walking around, I found it amazing that this thing which I had dreamed of for so many years had become a regular part of my life. But I was still in my melancholy. I met up with my friend Peter, and met some new people. I met some of my subscribers, which was pretty exciting. I ran into Greg Benson and Aaron Yonda. But I was quiet and I needed to take a lot of introspective time. I regretted not being able to spend more time getting to know these people. During my introspection, however, I had an epiphany from atop a high balcony. No, seriously, that actually happened. I had started out filming a video about success. Since that was the thing that was taking my attention, I figured that might as wall be the topic of my video. But as I stood at the edge of the balcony, watching the sun begin to set, and taking in the beauty around me, I thought that maybe success wasn't about being on the top, but taking in the moment and going from there. I realized that in my obsession, I was missing out on the community which I had signed up for in the first place. This whole process can be seen in my video from that year. I began having fun again, after that. I had a good run of videos for a little while, but there was still one hitch, one thing I had yet to figure out: What was I doing?